I had my annual check-up two months ago. I hate going to my OBGYN and having a pap smear. It is uncomfortable for me. I have no choice because all women do the same routine like me. I just have to face my fear. I try to stay calm while waiting for my OBGYN to do her thing. I was looking around the clinic to keep my nervous calm down. I found this poster on the wall. It is about Human Pappilomavirus or HPV which I have no clue what it is all about. Never do I know that I will have a procedure for that as well. It is the doctor’s new rules for women to include in their annual check-up. You can have this virus if you are not faithful with your partner. It is a transmitted disease that you only get from contacts. I have no doubt in my mind that I will pass this screening with flying colors. I am in a monogamous relationship. The only way I could have a disease like that if my husband is cheating on me. Fortunately I am thankful he is faithful which is a wonderful thing. I passed my annual check-up and everything is great. What about you? When was the last time you had your annual check-up. I will link this to #64 of 365 blog photo challenge. I am a type of person that does not like to take any medicine. I am stubborn that way. I can tolerate pain but not all the time. I just do not want my body to rely on medicine every time that I am sick or not feeling well. This time I have no choice but to take this antibiotic. I went to my regular annual physical exam with my gynecologist. I told her that my down their is very itchy not inside but outside. The itchiness is driving me crazy. She told me that she will take a look at it. I hate having a pap smear but I have no choice but to do it for my health sake. 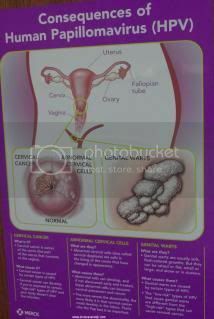 I got a called from my gynecologist that indeed there is bacteria inside my down their. 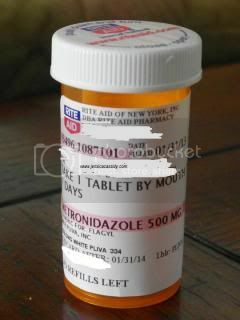 They gave me this prescription. I should take two tablets a day. This medicine should last for a week for me to take it. Unfortunately, I forgot to take them. I still have five tablets left inside this container. This antibiotic taste so yucky that you have to take it with food. I feel like I am always in hurry to eat every time I take this antibiotic. I hope this will prevent the itchiness which I do not know if it is working because I have my period too. What about you? Have you had your pap smear recently? Did you ever have an itch in your down their? How did you cure it? I am linking this entry to the 39th day of blog photo challenge.